Art fairs like NADA and Independent offer Downtown for Democracy a unique opportunity for creative activism—lending a platform to share its message and optimize fundraising efforts over the course of a few short days. In a demonstration of solidarity, fairs, artists and gallerists have banded together with Downtown for Democracy to educate fairgoers about what’s at stake in the upcoming midterm elections on November 6, 2018. 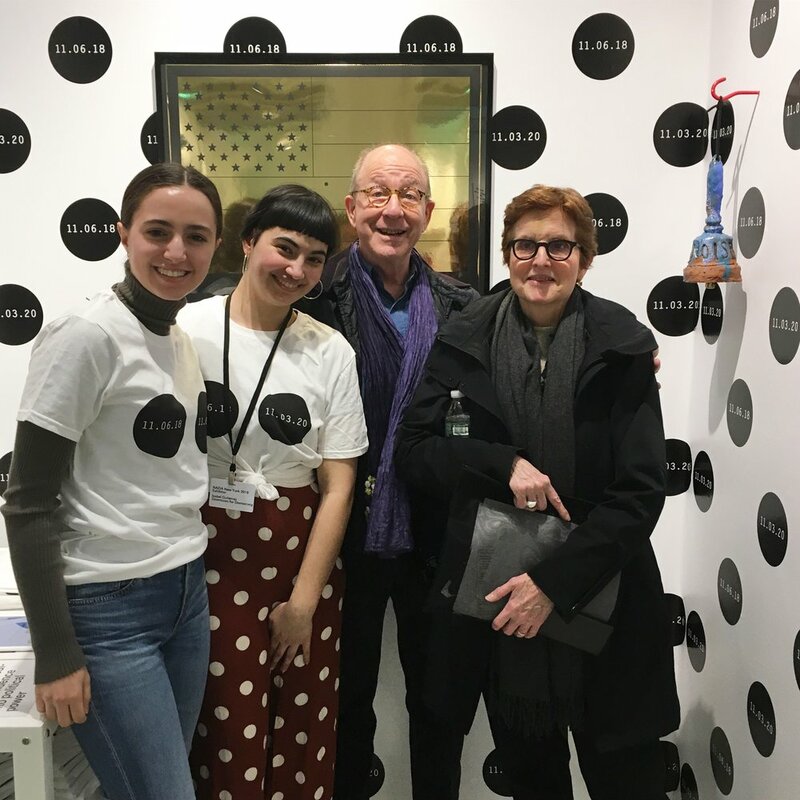 In the second collaboration with NADA as a cultural partner, Downtown for Democracy showcased a site-specific installation and merchandise by Marlene McCarty and limited edition artworks by Cecily Brown, Jonathan Horowitz, Arlene Schechet and Guy Richards Smit. 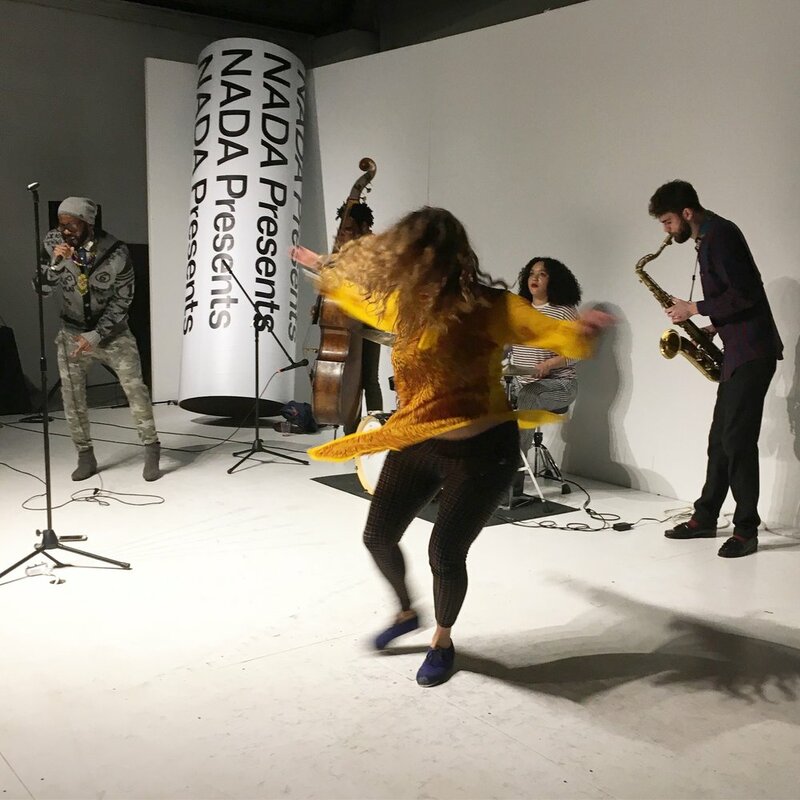 As part of our ongoing partnership with Mwenso & the Shakes, Downtown for Democracy hosted a live performance in collaboration with NADA presents. The partnership expands this summer as Mwenso & the Shakes go on tour with their powerful songs of inspiration, resistance and perseverance. Hailed by the New York Times as “intense, prowling and ebullient,” the Shakes are led by frontman, singer and ringleader, Michael Mwenso. Drawing inspiration from classic jazz big bands, Muddy Waters, Fats Waller, James Brown and many other African and Afro American musical legends, Mwenso & The Shakes pack a fierce jazz and blues punch. THE MODERN INSTITUTE hosted Downtown for Democracy at the Independent art fair, March 10-11, with an installation of politically charged limited editions, original artwork and merchandise by Katherine Bernhardt, Mel Bochner, Cecily Brown, Jonathan Horowitz, Marlene McCarty, Marilyn Minter, Arlene Schechet and Stanley Whitney. Volunteers ran the booth raising awareness about D4D and the Funds raised will be spent strategically in key US districts to get out the progressive vote in the 2018!